Where Have All the Ground Handlers Gone? As things stand today, actually a rather hypothetical question, as they are all still there. But will be that the case in the coming three to four years? The handling scene needs to change quickly to adapt to the new supply chain and e-commerce demands and as it looks now, there is a move for a massive consolidation and in some cases a “single ownership” status. Some of the world’s leading airport ground handlers have for more than a decade been owned by financial equity houses who buy them up, try to fatten them up and then sell them off to another equity outfit at a 5 - 6 ratio EBITDA amount. A lucrative business for many, but some one or two had to sell off at a loss as results from their ‘children’ have been disappointing. Those however, are exceptions as most have delivered what was expected. This scene starts to change now, and the one best example is the financial dilemma in which the Chinese HNA Group finds itself in. This has resulted in them having to consider (and reconsider) selling off their expensive silverware. 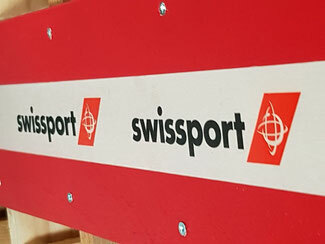 In this case the Swissport Group, one of the world’s largest and most successful airport ground handlers. 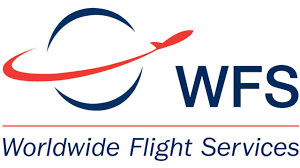 Cerberus Capital Management, a U.S.-based equity house, plans to take over the control of Worldwide Flight Services (WFS) once their deal with Platinum Equity, another U.S. equity house, goes through. 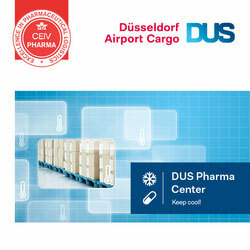 The news is out that Cerberus is now seriously looking at acquiring Swissport. If this deal were to come about then an almost worldwide monopoly handling situation could be created. A recent Bloomberg report states that the HNA Group paid somewhere in the region of US$2.7 billion for Swissport at that time. What today’s price would be, remains to be seen. One has to wonder what is going on behind the scenes in all of these mergers, acquisitions or sell offs. It is interesting to note, and one may wonder why, that Swissport’s (SWP) CEO Eric Born, who not long ago announced his departure from Swissport, now in a short company release is said to be staying on at the request of the HNA bosses for a further year. If he’d had a clear vision on the future of Swissport - then why resign in the first place? Or is there something else going on behind the scenes with Cerberus to ensure that the WFS - SWP marriage goes through? Would the regulators play ball? It’s not just EU regulators which would have to sanction such a deal. The same questions would be asked by U.S. and still EU member UK regulators as both companies have overlapping business segments in most countries where they are operational. Both are strong in cargo handling, although WFS may well have the upper hand in the USA after their capture of CAS some time ago. Swissport has no cargo operation in France, having sold most of it off and both are more equal in Germany where SWP has more locations, but WFS the large FRA airport share. The question maybe in some of the Swissport or Worldwide Flight Services managers minds may well be, what happens with the organisation and who would administrate such a joint company - if it were to come about? A new owner would look closely at this, whereby on the face of it one could say that Swissport managers may have the better cards in their hands. Better chances for smaller handlers? Best not to forget the handlers’ customers. They are the ones paying the bill and if I were one of them I’d be wondering about the pros and cons for me when a giant handling company were to take up a monopoly position almost overnight. Airlines are not stupid and they will look closely at alternative handling options which can fit their portfolios as they get worried about the danger of uncontrolled price hikes. Are there then enough smaller or mid-size global handlers on hand to be attractive to airlines who may well consider changing sides? Probably not! Then, someone will have to come up with a new concept or handling outfit which can be a viable competitor to what many will see as a monopolistic set-up. There is still Menzies Aviation however. But here also, the sales sign is said by some financial analysts to be up on the door. Given their stock market value at present, it could be expected that a multiple of 6-10 EBITDA would apply in any sales process. Would this really work out or pay off? They are maybe attractive to a buyer for their UK business and to some extent for their USA handling. But, at what price and where would there be better synergies to be had if they were just for example to come into a WFS or SWP bond? One can speculate about all that and the value of the company or an EBITDA picture which would determine any future sales price - but would this make sense at the present time? 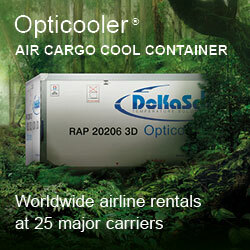 Maybe better for them to wait out what happens with Swissport and plan from there. 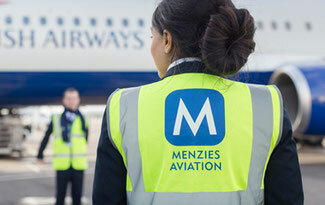 They might well have synergies into WFS’s UK cargo business and Craig Smyth, today’s WFS CEO who once ran Menzies Aviation may have a desire to get them back into the fold. Nothing decided yet - but something is surely in the air! On the ramp since feb2017 Asig. Been on ramp since 2002 . The question is we're have all the cowboys gone?? But here in the Britain at Heathrow they have a multiple shed at shoreham cargo village .